Pew Marine Conservation Fellow, holds a Ph.D. in Zoology from the University of Basel, Switzerland. He has been conducting dolphin research since 1986, particularly in the Adriatic and Ionian Seas. He founded and directed for a decade a dolphin research and conservation programme in Croatia, which was awarded the ‘Henry Ford European Conservation Award’ as best European project. Board Member (1990—2010) and President (2000—2010) of the Tethys Research Institute. Contract Professor of Cetacean Conservation (2002—2006) at the Faculty of Sciences, University of Venice, Italy. Coordinator and Science Director of Dolphin Biology and Conservation (since 2011). Research Associate, Marine Mammal Behavioral Ecology Group, Texas A&M University (since 2011). Visiting Senior Scientist at the Institute of Marine Life Sciences, Texas A&M University (2011—2012). Faculty Member and Research Associate Scientist, Texas A&M University (since 2013). Research Associate, OceanCare (since 2014). Giovanni has authored or co-authored over 150 scientific contributions of which more than 40 are peer reviewed, and has produced various other work intended to support marine conservation action. 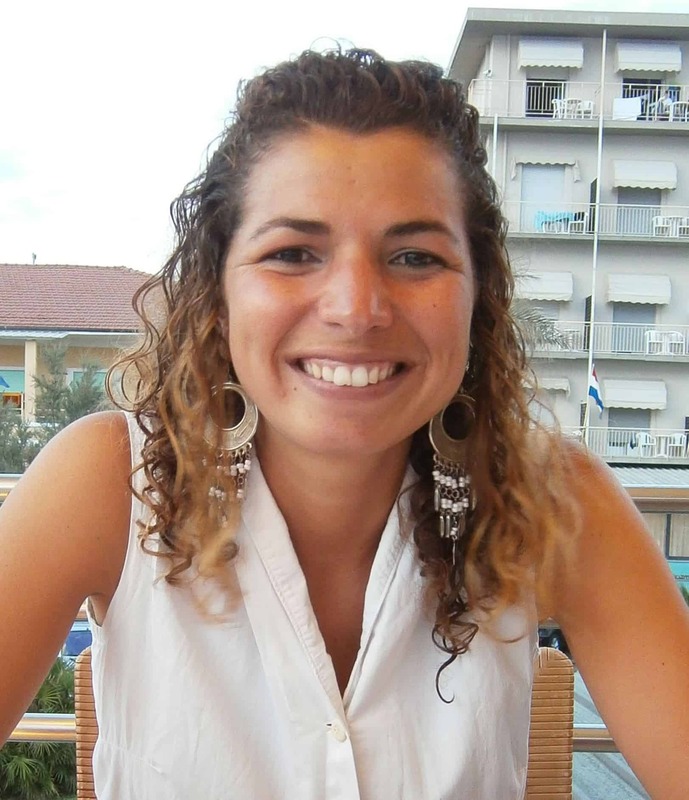 Silvia Bonizzoni holds a degree in Environmental Sciences at the University of Venice, Italy, with a thesis on bottlenose dolphin social organisation. She got involved in dolphin research in 2000, and since 2006 she has been working as principal field investigator in various projects conducted by Dolphin Biology and Conservation, OceanCare and Tethys Research Institute in Greece (Gulf of Corinth, Northern and Southern Evoikos Gulf, Argolikos Gulf, Amvrakikos Gulf, Inner Ionian Sea Archipelago) and Italy (in Sardinia and Apulia). She took part in oceanographic cruises in the Adriatic Sea (in collaboration with ISMAR); participated in cetacean surveys off Los Angeles, California (in collaboration with Ocean Conservation Society); conducted a pilot project using photo-identification from shore to study bottlenose dolphins in the Galveston Ship Channel, Texas (in collaboration with the Marine Mammal Behavioral Ecology Group, Texas A&M University). Her main research tools include GLM/GAM habitat modelling and individual photo-identification. Silvia is currently a Research Associate with OceanCare, a Research Associate with Dolphin Biology and Conservation, and a Ph.D. student in Marine Biology at Texas A&M University (supervisor: Prof. Bernd Würsig). 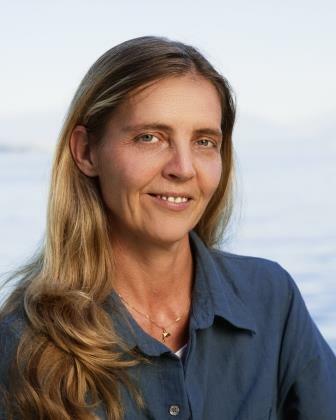 Silvia Frey studied environmental science at the ETH Zurich and also holds a PhD in neurobiology from the Faculty of Science of the University of Basel. Motivated by her love of nature, Silvia already knew at an early age that she wanted to work for animal, species and nature protection and she feels privileged that she is able to live her passion. Silvia has been working with OceanCare since 1997. She is heading OceanCare’s science and education department and the whale and dolphin research programmes. She is a strong advocate of using non-invasive research techniques in order to minimise disturbance of the animals. Silvia is particularly passionate about responsible whale and dolphin watching tourism and environmental education. She gives talks and workshops, and supports high school and university students with their theses. As a conservation biologist, she is interested in using scientific knowledge as a sound basis to better protect marine species and their habitats. By publishing scientific papers, she promotes marine wildlife conservation and supports OceanCare’s broad recognition in the scientific world internationally. Raising public awareness is another essential focus for Silvia as she is convinced that changes in people’s behaviour can be brought about by increasing awareness about the diversity of life in the oceans and about existing human generated threats. Within her scientific work, she is particularly fascinated by and interested in the way of life and the distribution of sperm whales in the Mediterranean Sea. Since 1984 Ricardo Sagarminaga van Buiten, skipper and marine research program coordinator, has combined his passion for sailing and building tall ships with his lifelong dedication to the conservation of marine biodiversity. Ric’s work has focused on developing marine apex predators monitoring surveys, designing and managing protected marine areas programs, and the conservation of endangered species and the sustainability of fisheries worldwide. He specialises in coordinating international scale research and conservation programs and creating innovative technological measures to mitigate the risks to marine life linked to the fishing, defense, energy, transport and tourism industries. After working with international environmental organisations, public administrations and academia, and becoming member of several scientific committees, he has created his own multidisciplinary approach to provide practical solutions for biodiversity conservation. Among his preferred formulas, Ric has used active education, citizen science and public volunteering as a tool for linking conservation strategies with the general public. After founding and running the Spanish Cetacean Society, he co-founded ALNITAK Marine Research and Education center (www.alnitak.info) to generate novel environmental outreach strategies and forge a new tradition of cooperation between key international outfits. The success of the programs coordinated by Ric is largely due to having established schemes based on a positive and active involvement of all stakeholders in the search of win – win solutions. Following on this philosophy he later co-founded KAI Marine Services (www.kaiexpeditions.com) to provide full technical and scientific consultancy to policy makers aimed at making economic growth and biodiversity conservation compatible. In 2014, Ric was elected as ASHOKA social entrepreneur fellow for his work in the Mediterranean, Africa and Latin America. Ana Tejedor is a founder partner of KAI Marine Services. Although specialised in marine management and international negotiation, as sailor and marine expedition coordinator, Ana approaches the world of policy with the perspective of those who are out at sea. As a Senior Advisor of the Ministry of Agriculture, Food and Environment of the Spanish Government she has provided support for the monitoring and implementation of the main Multilateral Environmental Agreements for the protection of the marine environment in Spain since 2005. The main tasks include developing public policies for the conservation of marine biodiversity and representing the Spanish delegation at the main forums on conservation and sustainable use of the marine environment (marine groups of the General Assembly of the United Nations, Convention on Biological Diversity, OSPAR Convention, Barcelona Convention, Migratory Species Convention, Environmental Protection Committee of the International Maritime Organization, European Commission Working Groups). However, her comfort zone is not only in the arena of international policy negotiation and the integration of its outcome in national levels. In 2009 she created KAI Marine, a “think tank” of international interdisciplinary experts with which she has worked in projects in Europe, Africa and the Americas, in a wide range of environments, often in extreme living conditions both at sea and on land. Ana won the European Entrepreneur Environmental Award for the development of the KAI Marine Expedition initiative and its Marine Science Programme in November 2012. 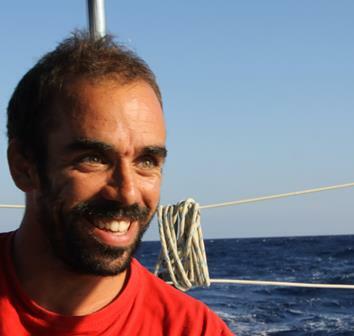 Bruno Claro holds a Master Degree in marine biology, with specialisation in Marine Ecology and Conservation, and a Post-graduation Degree in Advanced Geographic Information Systems, at University of Algarve. As a Marine Ecologist and with a desire to diversify his skills, he has participated in a wide range of projects in the last 10 years. He studied the ecosystem metabolism of seagrass meadows in the south of Portugal, the spatial ecology of kelp forests in the Iberian Peninsula, was co-creator of an underwater video technique that improves surveys of fish assemblages, established a socio-economic profile for dolphin watching tourists in Portugal, and participated in several cetacean surveys in Portugal and the Mediterranean Sea. Bruno´s collaboration with OceanCare is mainly focused on the analysis of the impact of main environmental and anthropogenic drivers on the distribution of cetaceans in the Mediterranean Sea. As a biologist and a veterinarian, Claire has always had a passion for nature and has known from a young age that she had wanted to work with wildlife. After completing her undergraduate course in Biological Sciences at Oxford University she went on to complete her veterinary training at Bristol University with the Bristol Zoological Society Prize for Zoological Medicine. During her time in Oxford Claire specialised in marine ecology, and undertook her final year dissertation studying coral bleaching in the Wakatobi National Park, Indonesia. It was during this time that she developed her love of diving, which inspired her desire to work closely with protecting marine life. Whilst at Bristol Claire spent her final year elective in North Carolina State University (NCSU), she joined the exotic and Turtle Rescue team. During her time in NCSU, Claire witnessed a cataract surgery on a Loggerhead sea turtle! It was an invaluable experience that led to a deeper fascination in turtle medicine. After graduation Claire spent some time in Grenada working as a research assistant for the Wider Caribbean Sea Turtle Conservation Network. It was here that her ambition to combine being a ‘sea turtle vet’ and marine wildlife conservationist began. In November 2016 Claire joined the Olive Ridley Project and moved to the Maldives to open a Marine Turtle Rescue Centre for ghost gear entangled sea turtles, the first veterinary clinic in the country. Every day Claire would swim in the sea or paddle board around the island and would often encounter turtles, sharks and rays, sometimes even pods of dolphins! Having spent some time working as a small animal vet in London, she is now focussed full time on pursuing turtle conservation work for the Olive Ridley Project. She is also traveling to turtle rescue centres around the world to learn more about how best to medically treat and rehabilitate sea turtles and with the help and support of OceanCare plans to begin a PhD investigating turtle medical welfare at rescue centres in 2019. Maria Elvira (Mariel) Murazzi holds a Master Degree in Marine Biology and a Bachelor Degree in Environmental Science at the University of Pisa. Her background has focused on natural resources sustainable management. She contributed to the collection and analysis of technical Northwest Atlantic fisheries data with NAFO (Canada) and she worked with legal aspects of fisheries international legislation at the Council of the European Union (Belgium). She has collaborated with non-profit associations based in different countries (Italy and Cape Verde), aimed at marine mammal and sea turtle conservation. 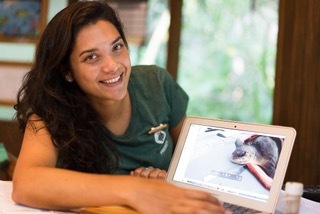 During her working experiences she has been involved in patrolling beaches, collecting samples, conducting marine surveys, raising awareness about plastic pollution throughout social networks updating, taking part in specific events and teaching activities on cetaceans and climate change topics in primary and secondary schools. Mariel’s collaboration with OceanCare is mainly focused on the analysis of fishery activities in the Mediterranean Sea, encompassing different topics through a bibliographic research and an interview-based approach. Moreover, Mariel is involved in the implementation of a school programme on plastic pollution.